Thanks Tweakie, except she has a bad sunburn. I'm working on refining the settings and making improvements. Jeff, that is really nice work! When I get the process perfected, I will post another one. Did this one today with PicEngrave Pro. It is 13" X 8.44" and took 5 hours to laser engrave. Wanted to see what kind of detail I could get and the posted picture being so much smaller and taking a picture of it does not really do it justice. It was to big to go into my scanner. Jeff! I think it's really detailed and great work! Seems like a sepia photo. I would be really proud if I would be able to create something similar. Thanks Amateur. I'm getting so much detail now they are looking photo realistic. Like you said too, a sepia photo. Hope you don't mind my posting! I'm fairly new to lasers, and have a low power analog modulated 1.75 watt blue laser like Jeff's. I've built a simple analog modulator circuit that is driven by mach3's step and direction lines, using some binary up/down counters with digital to analog conversion. 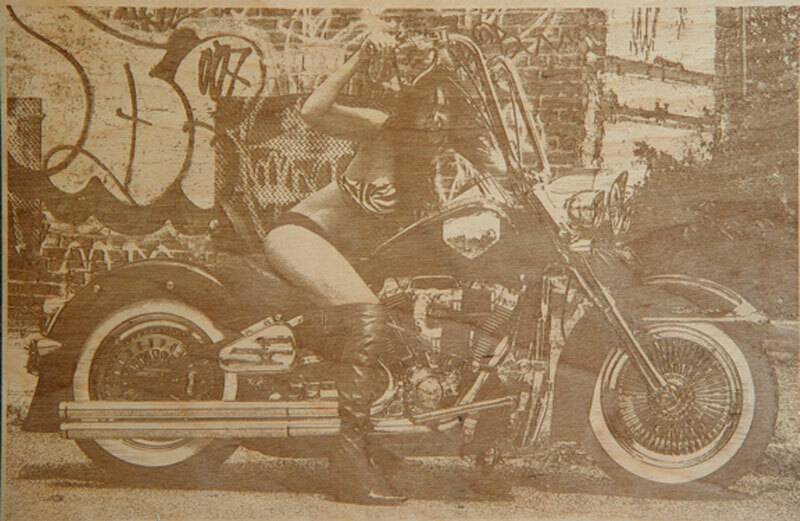 So far, I've been using Vectric's photovcarve to produce the g-code. I'll be trying picengrave as well now that I have the hardware working correctly. It is very nice to see you here where you can discuss any aspects of your progress without the constraints of having to use the Vectric software as required for their forum. I look forward to seeing some pictures of your work (to conserve webspace I would be grateful if we all could restrict image size to 600 pixel width please). As I see You have a 8 level output to drive the laser, hanen't You? Although it's not so much, the resultst seems very detailed. Hey Dave, happy to see you here. With 2 of those dual fans and that big heat sink, you should not have any overheating problems. Right now I only have one of those fans and just the heat sink that originally came with the laser. I'm having to keep my air conditioner in my shop on high which is close to my router to keep the temp down. I purchased some Peltiers and will be adding them soon to an input air conditioner system on top of the box with an intake air filter. Since there is so much air pumping into the box, I'm seeing allot of dust collecting on the fan blades and has to be collecting on the heat sink too. I'm going to use a thermostat on the peltiers so they will come on and off to maintain a desired temp. The box I used is to small to add anything else inside it. Did you wire separate power supplies for the fans then for the laser driver? You must have noticed the fan slowing down when the laser throttled up the way it was originally. That is one thing I will be changing on mine also. I have all the parts to make all the changes, but I'm having to much fun frying wood to do the upgrades and tear it down right now. There are no post processors you can modify to change the gcode output axis letters with PicEngrave Pro, but here is a free text editor that you can change them in large gcode files almost instantly. http://www.contexteditor.org/downloads/ I replaced notepad in Mach to use this editor instead, because notepad was so slow doing any large changes in the files. I feel you will really notice a difference in detail and ease of use when you try PEP and it has extra functions PVC does not have like crop and elliptical shape. 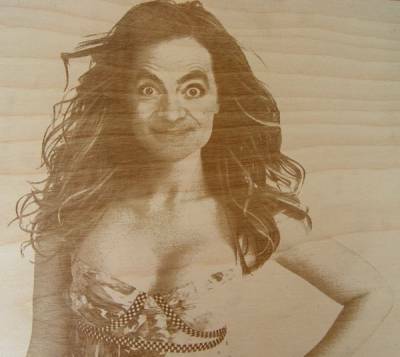 You don't have to engrave the whole image and can define what part of it you want to engrave. The grey scale preview gives you a better idea how it will look also, considering that is what we are laser engraving anyway. Are the images to big that I have posted? I was taking in consideration the 500kb file size limit and not the pixel width when posting them. Welcome, I'm glad to see you here. Your analog controller development is truly unique and is very interesting to me, as are Jeff's and Tweakie's approaches as well. I'm looking forward to working with you all in furthering development in cnc lasering of images. Your images are just fine, I only mentioned the 600 size as a guideline. Hello all, many thanks for the warm welcome! Tweakie, I'll post (small) images as I get them. Right now I'm still experimenting (playing) with this. Amator, the two cascaded counters allow 256 values. It's possible to add additional counter chips to extend the range, but I'm not sure that would improve the image appearance. My laser uses 0-5 volts at the modulation input, and the counters and DAC delivers about 0.02 volts per step. Changes between steps are not visible. Jeff, I'm using two 12-volt power supplies, one just for the laser, and another just for the fans. I've had the heatsink in my junk bin for years, so it's about time I found a use for it. Thanks for the link to the editor, I'll give it a try. Using peltier modules for cooling looks to be a good idea, but it's out of my budget range. I mounted the original diode and heatsink on the larger one with lots of heat transfer compound between them. The two fans blow around the large fins on the big heatsink, with 3 holes in the case in front of them and the original heatsink. wire (radio shack) for connections on the back of the circuit board. Amator, the two cascaded counters allow 256 values. I see. At first look I was looking for the different resistor values, I did not know that type of DAC. 0,02V resolution is more than enough. 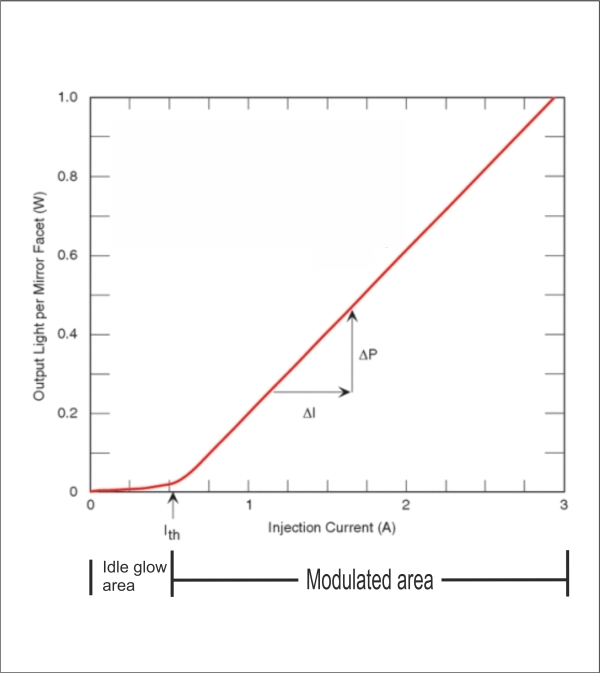 Is the modulation drives the diode current only over the treshold or the whole range of P-I curve? As I know diodes doesn't like to be operated by often switched off. I think there is a treshold setting in Your output stage for the diode, isn't there? I think I can answer that question if I'm understanding you correctly. The analog modulated laser driver me and Dave are using has an idle glow at 0V to the analog modulation input when you switch on the key. The diode never switches off through the whole engraving process, but only powers up and down based on the analog voltage imputed to the modulation. I have found that this idle glow is perfect for finding the edge of your work piece to zero the machine. The resistors form an "R-2R ladder" and the same circuit is used inside most DAC chips today. Originally I used an LM358 op amp for the output stage, but it would only allow a 0 to 4 volt output range even though my power supply puts out 5.1 volts. The tlv272 rail to rail op amp I'm using now gives an output range of 0 to 5.1 volts. This circuit does not drive the laser diode directly, it just feeds the laser driver circuit board that powers and modulates the laser. There is a heat sink attached to it that isn't shown in the picture. You understood Me. 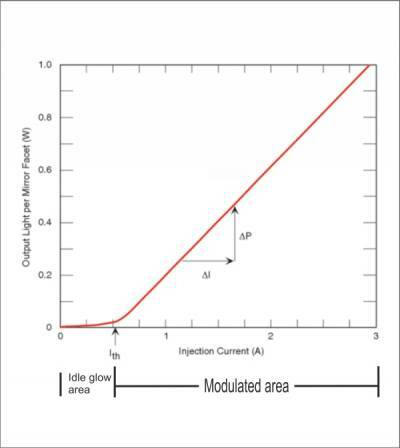 That means that diode current never goes down to zero, only decreased to the point, where it does not burn. Dave, thanks for info, I have a lot to learn. I think this idle glow, what Jeff mentioned is the Bias on Your board. Hi Amator, I'm just guessing here, but I think you are right (I've still got a lot to learn too!!). Still guessing on this too, but I am thinking the reason that Jeff and I have had heat problems might be that the diode is being over-driven. If the driver we have is really a flexmod p3, it says it can output up to 4 amps. The power element on the driver is in a TO-220FP package that gets quite hot too, I had to use heatsink compound between it and the case, and that area of the case is warm to the touch. Jeff, I think the reason that your new fan slows down as the laser power increases is related to this too. The 12 volt laser power brick is rated at 5 amps, the fan takes 1.1 amps, and I bet the laser takes the rest and is hungry for more. I knew that was why it was slowing the fan down in dark burn areas. I will be adding another power supply soon. Couldn't resist and did this one today with the latest PEP laser edition.